Replacement Screens - 75 - Mega Sale! Save up to 21% | Replicafer Co.
Mega Sale! 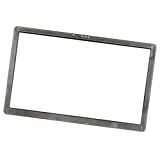 Up to 21% off on Replacement Screens at Replicafer Co.. Top brands include Lenovo, Generic, Dell, HP, Toshiba, Honglei, Fullcom Tech, AUO, Acer, Apple, LG, & Command Mac Parts. Hurry! Limited time offers. Offers valid only while supplies last.